The first time I did a Miniature Setting for the Philadelphia Flower Show (2011), I was a substitute for someone who had to drop out at the last minute. I was invited to exhibit on January 1st for a show that opened only 8 weeks later. I didn’t get started for two weeks so basically I had 6 weeks to make it. That is definitely not enough time and over the years I have learned to start really early. 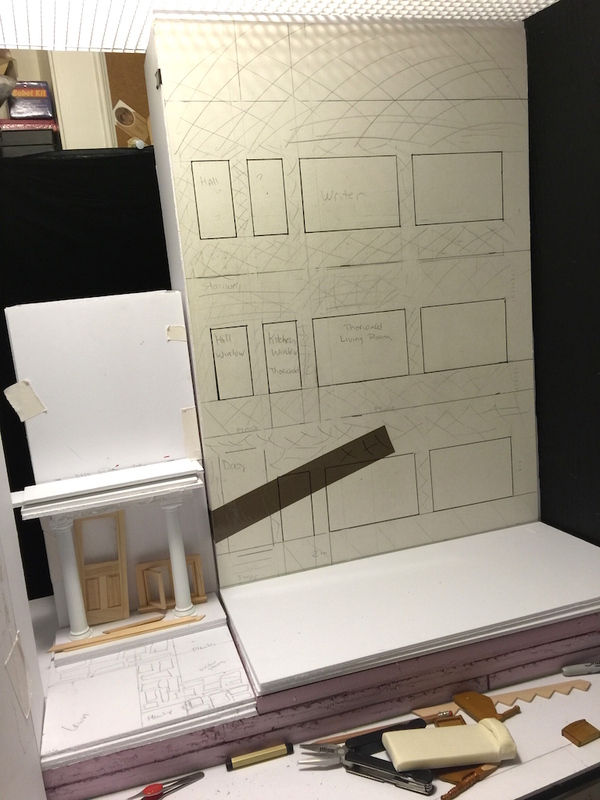 I’ve spent months designing this year’s exhibit, trying to figure out how to compress an entire Greenwich Village courtyard (from Rear Window) into our 36inch by 24inch box. The key is to identify the key iconic elements and include those while eliminating the unnecessary parts. I will write a post on that in the future and hopefully all the exhibitors this year will identify the key components of their exhibits. In the meantime, I want to show the basic components of my build. It is quite complex, with several building and different garden levels. This is built in a wooden box 24 inches deep (2 inches more than previous years) and 36 inches wide. It is 37 inches high (the size that will fit in my car). 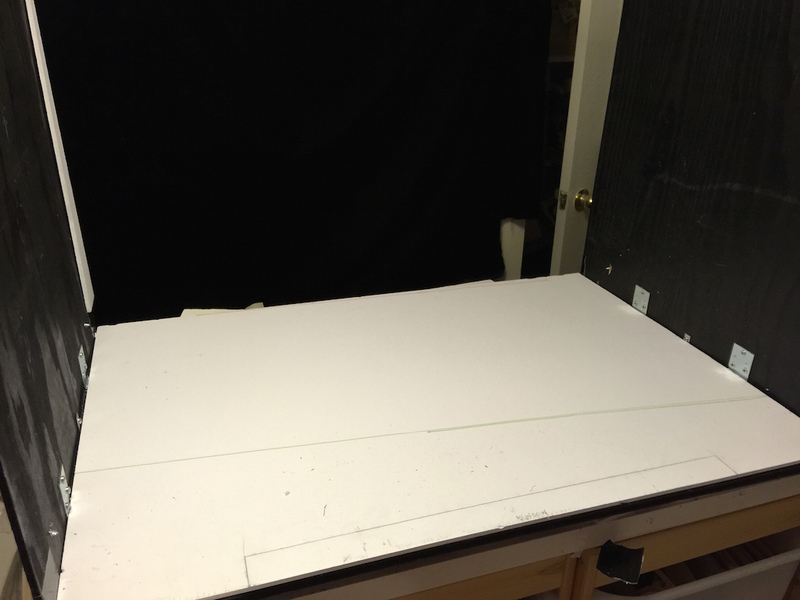 The first layer is 3/16″ white gatorfoam board. 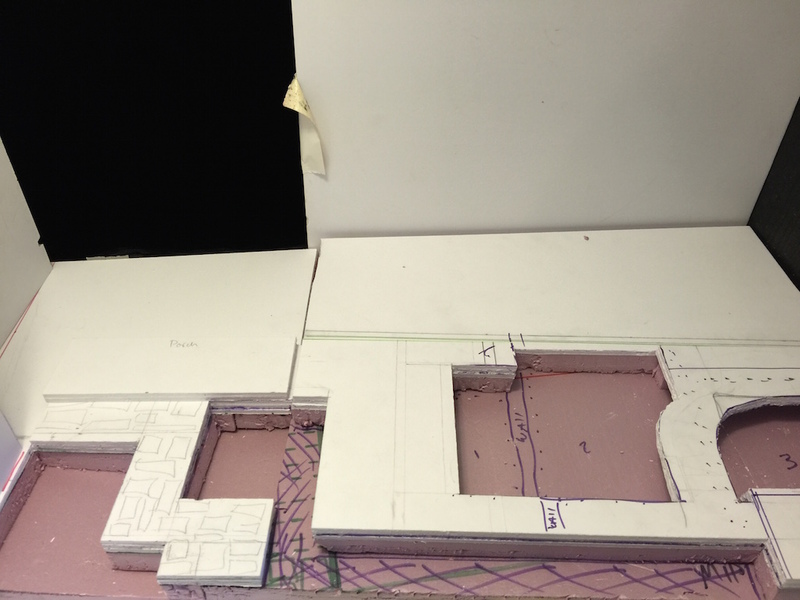 Gatorfoam does not warp and can be cut easily and cleanly, with sharp lines. 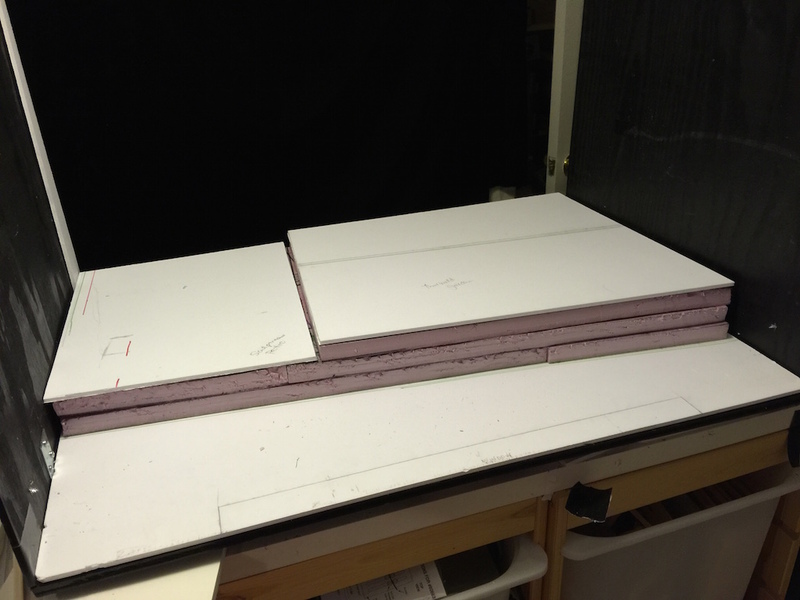 It is a bit stiffer than foamcore board and quite a bit more expensive. Towards the front of the board you can see a sketch of where the viewing window opening is. 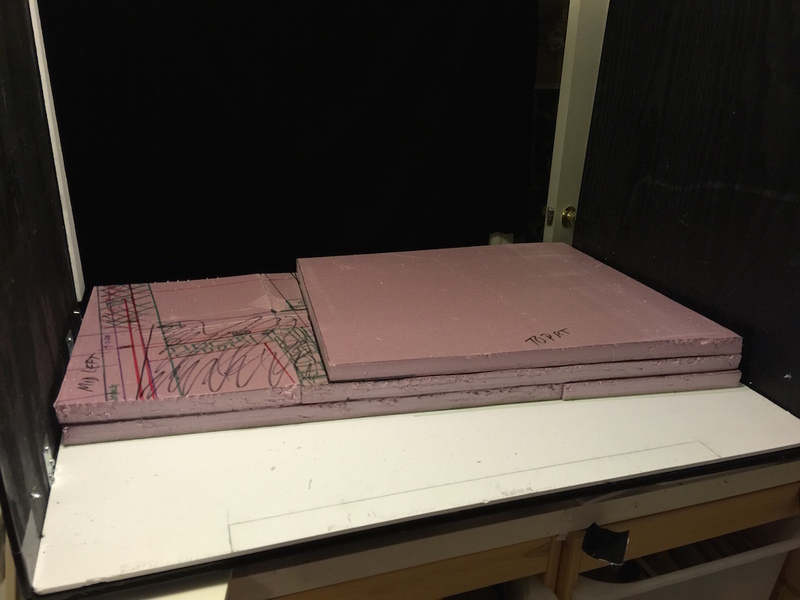 Next I built up the different levels with pink insulation board, available at all hardware or home renovation stores. When I had the correct height, I added one or more layers of gatorboard because it will have to hold the hardscaping, mostly pathways. 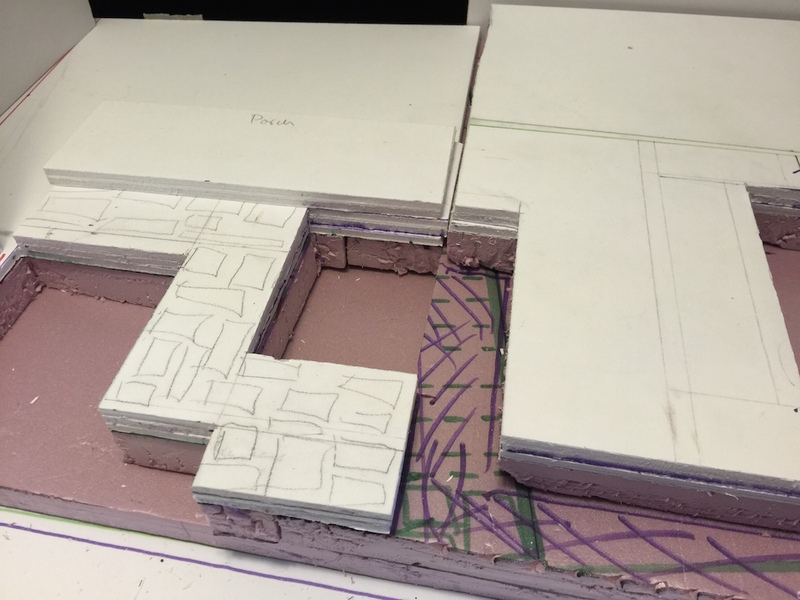 After sketching out the layout, each planting area has to be cut out, through the gatorfoam layers (which are glued together) and into the first layer of the pink insulation. These will hold the plastic planting trays which I will demonstrate in a future blog. 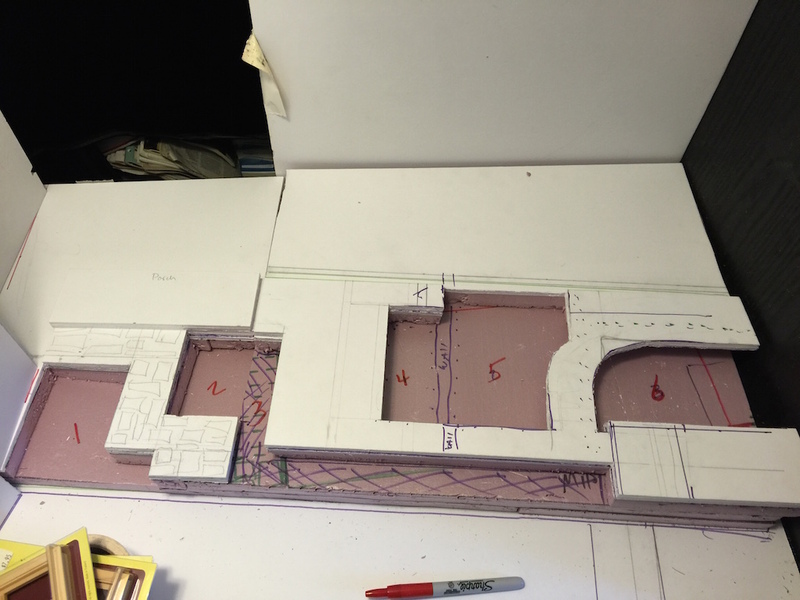 It’s important to number the tray areas so they are easier to match up later. 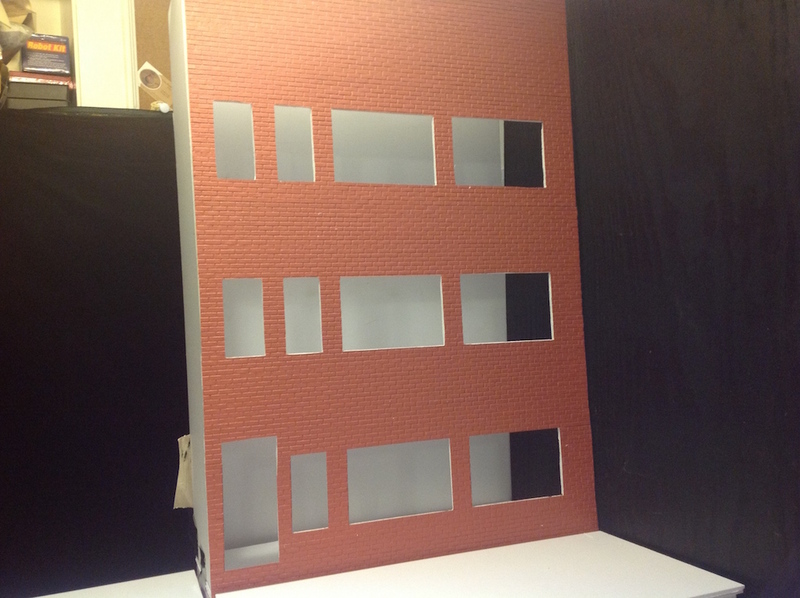 I also used gatorfoam for the building facades. This involved a lot of measuring and design. Some of the windows will be made from scratch and some are purchased. Each building will have a different facade treatment. 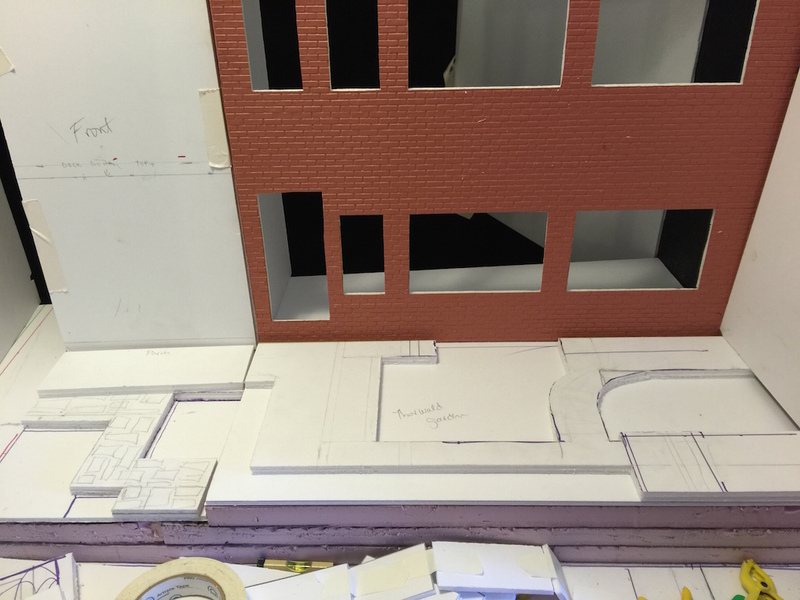 This one has plastic brick sheets which will be painted and aged later. 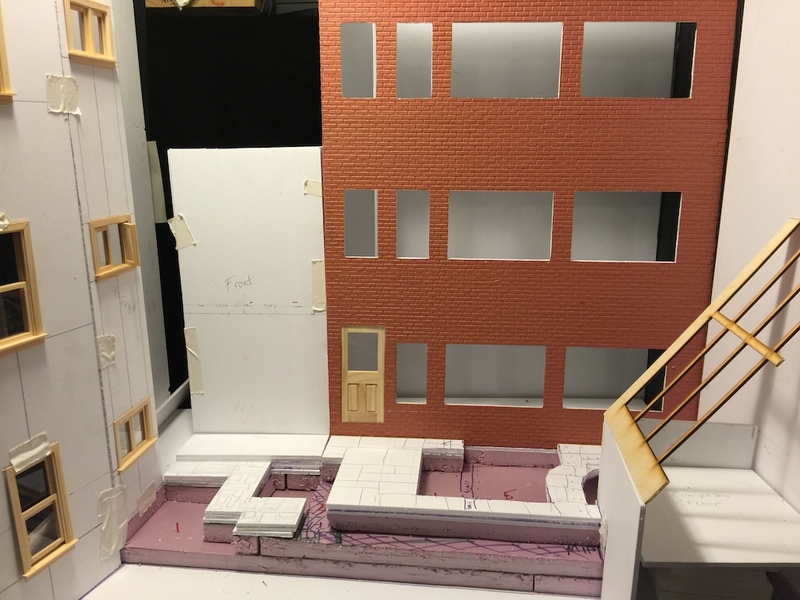 More buildings are being added on the sides, giving the entire scene more complexity. 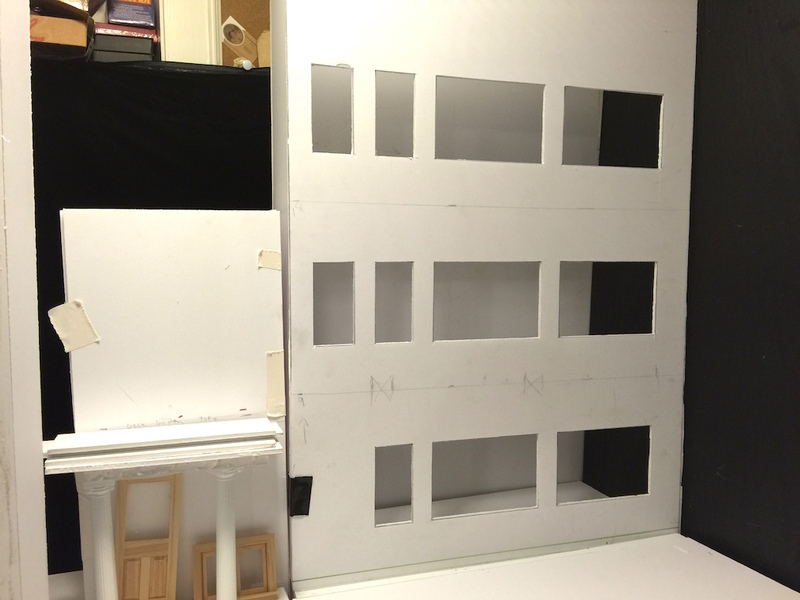 The scene is built on a slight angle to the viewing window so it does not appear too static.